This is a classic Sweet Italian blend for sausage. 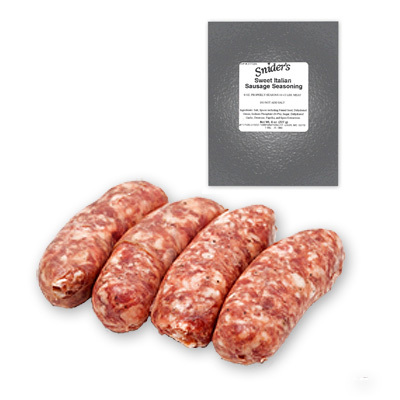 This makes a pork sausage that can be added to pasta sauces or other dishes. Snider's blends are flavored with garlic and whole fennel seed. Ingredients: Salt, Spices Including Fennel Seed, Dehydrated Onion, Sodium Phosphate (8.0%), Sugar, Dehydrated Garlic, Dextrose, Paprika And Spice Extractives.